« KAYLA HARRISON DOES IT!!! 2012 OLYMPIC CHAMPION!! 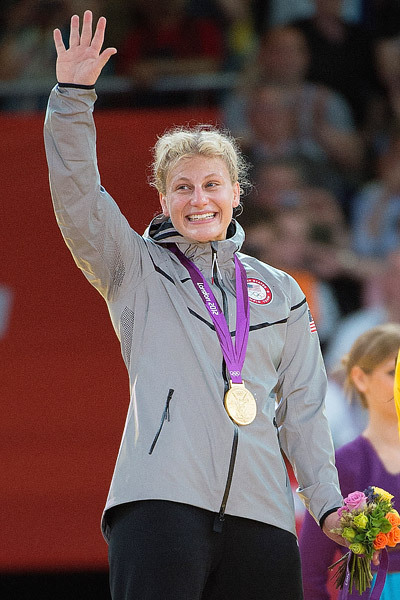 Kayla Harrison became the first American ever to win a gold medal in judo, winning the final match of the women’s -78kg weight class against Great Britain’s Gemma Gibbons and her fervent home crowd. Harrison grabbed an early lead against Gibbons and the match was never really in doubt. Harrison, who entered the Olympics ranked fourth in the world, was the first American woman ever to reach the Olympic final. Her run through London punctuated a wildly successful Olympics for Team USA, in which Marti Malloy also earned a bronze medal in the 57kg weight on Monday. Only one American woman had ever medaled in judo, before Harrison and Malloy accomplished the feat together this year. Click here to read the full NBC story and see video of the Kayla’s gold medal fight. This entry was posted on August 2, 2012 at 10:17 pm and is filed under Olympics. You can follow any responses to this entry through the RSS 2.0 feed. You can leave a response, or trackback from your own site.